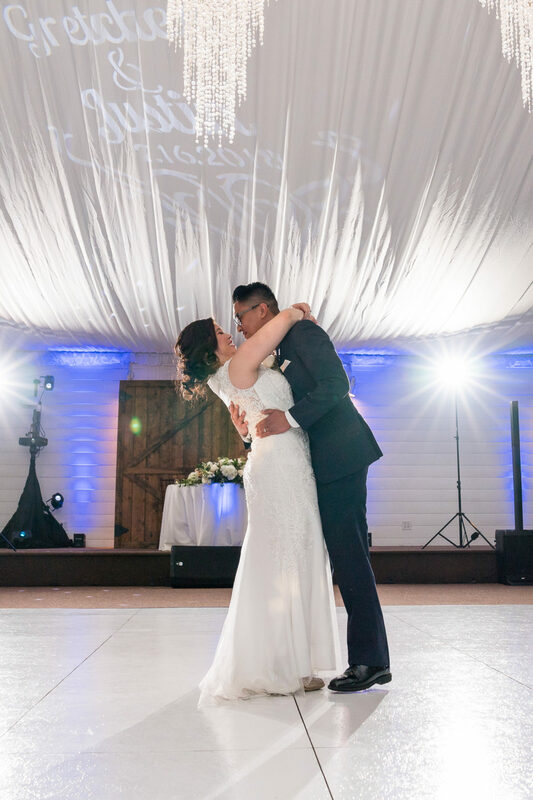 Green Gables Wedding venue has an inviting dance floor lit with elegant chandeliers! 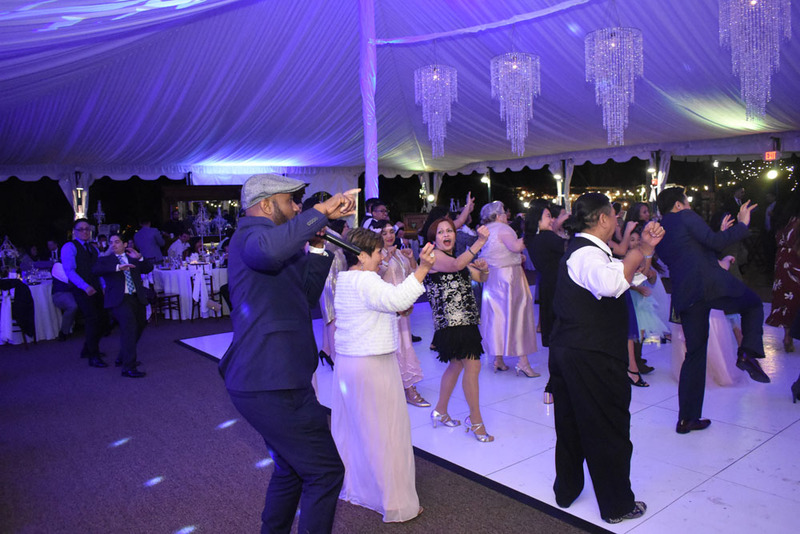 DJ Earl Henry in action, enjoying the evening as he celebrates with the guests. 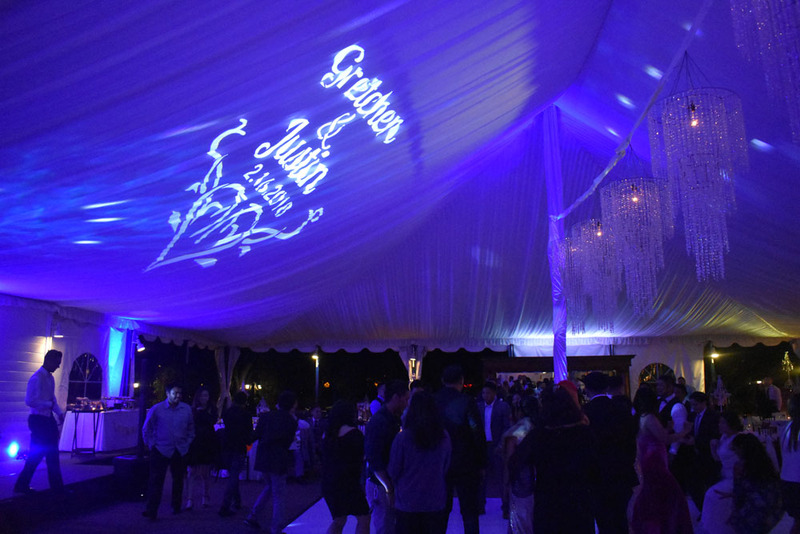 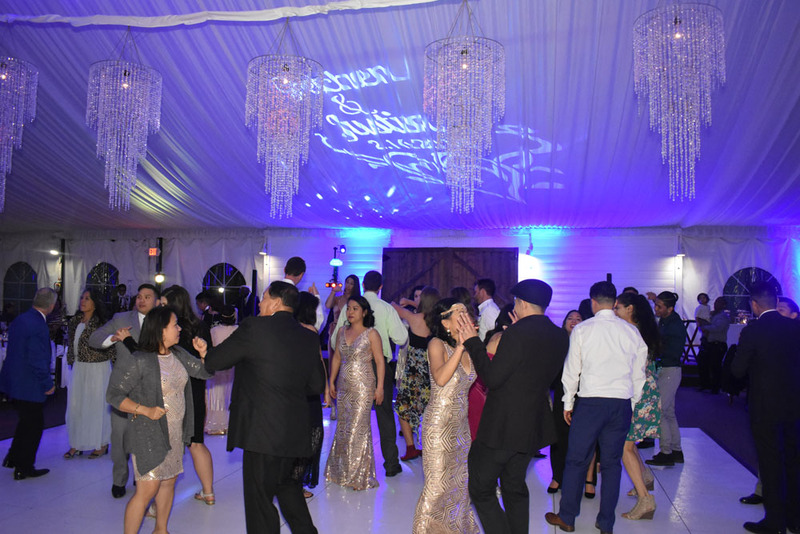 Custom Monograms created a beautiful ambiance while on the dancefloor. 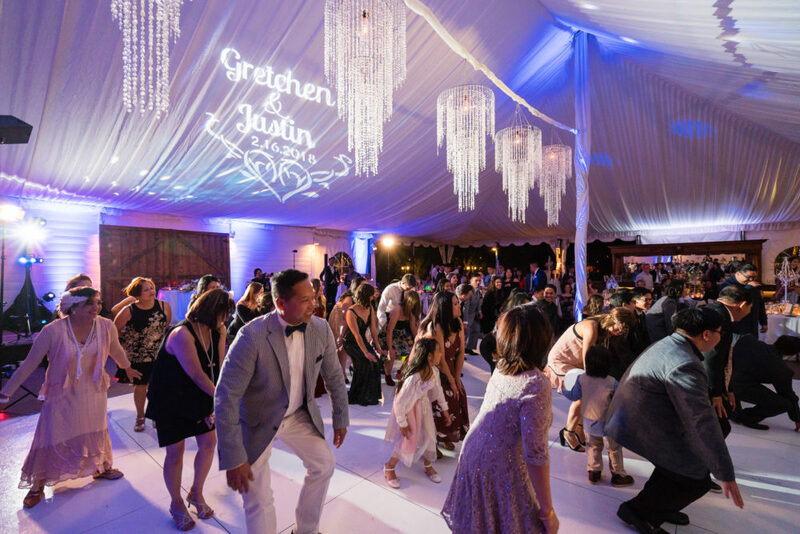 Line Dances get all guests on the dance floor! 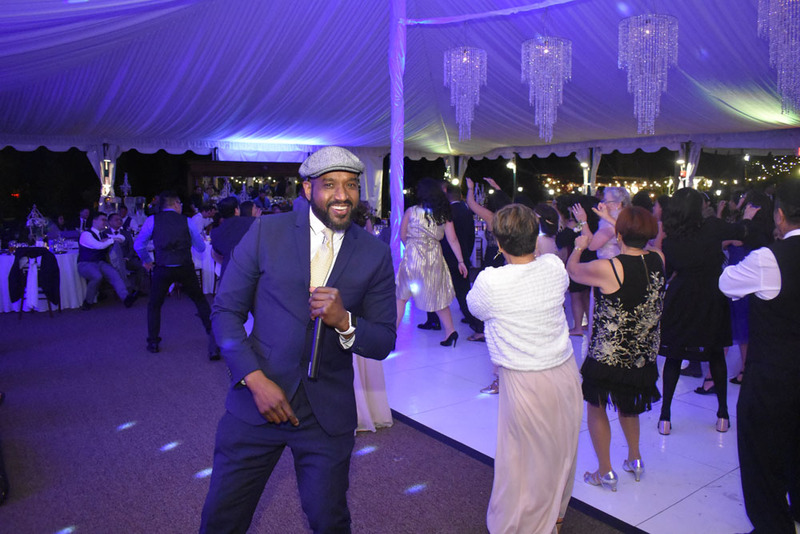 DJ Earl Henry loves to interact with the guests!